It's here! The April 2017 Trail Mix Monthly Hiking Digest is available for you right now. If you're looking for something tasty to munch on while you plan your next hike, check this out! What's a hiking digest? Great question! To read more about this fast, easy way to get the latest hiking tips, here's a detailed description of Trail Mix. 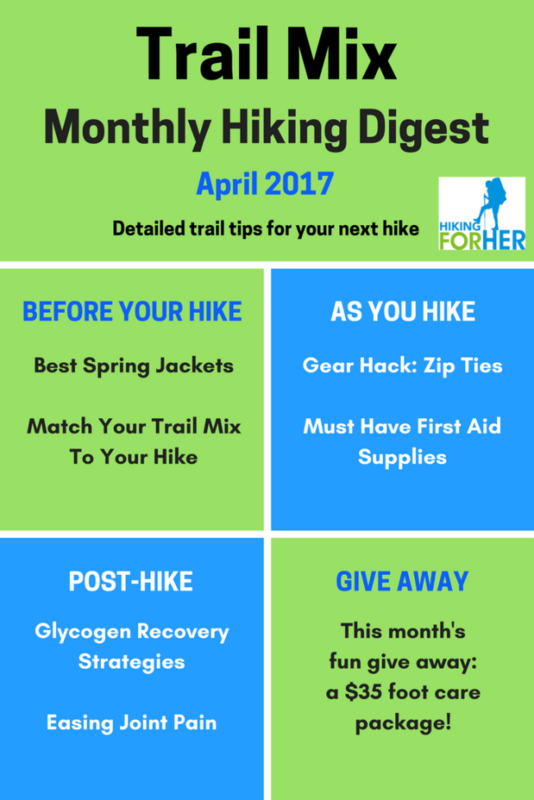 The April 2017 Trail Mix monthly hiking digest has 6 detailed articles on hiking topics of interest to hikers everywhere. You won't find this type of information, presented in such an easy to read, highly organized format, anywhere else. Because everything in this monthly hiking digest is written specifically for that issue. Take a look at the topics for April 2017! They're organized into 3 big categories that make sense to hikers and backpackers. Do You Carry These First Aid Supplies? Because Trail Mix is just getting started, the price per issue is a low $2.99 for 35+ pages of hiking goodness, written with the same detailed expertise as all of the pages on this website. You can use your PayPal account for a secure transaction. Log into PayPal as a guest, and choose that option on the second screen. Either way, Trail Mix will be instantly available as a pdf download to your electronic device. Past issues will be available in the Trail Mix archives. That's the great thing about this trail mix - it never gets stale! The contents will be as fresh and useful as the day they were crafted, so if you miss an issue, the tips will still be tasty and satisfying. It's easy and fast to get your own copy, beginning on March 24, 2017. 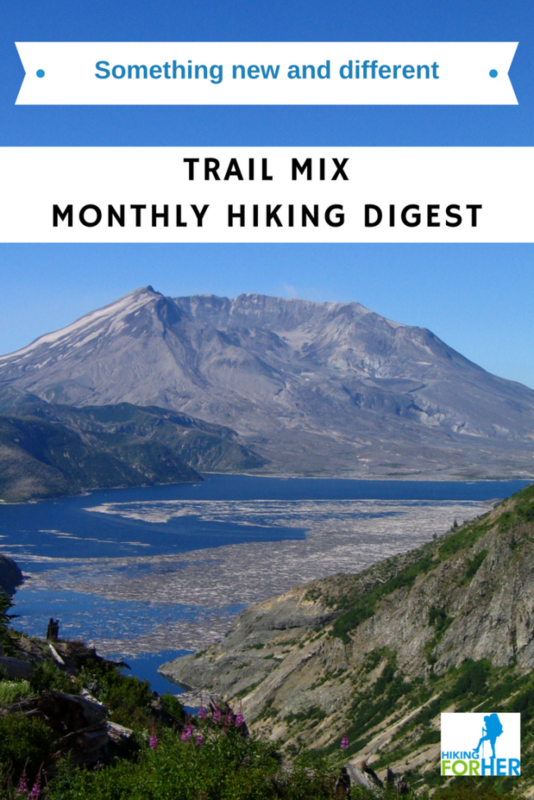 Trail Mix Monthly Hiking Digest? In the April 2017 issue of Trail Mix, you'll read about a gear innovation that looks like it should have been done a long time ago for certain hikers. As for fun, how about a give away? 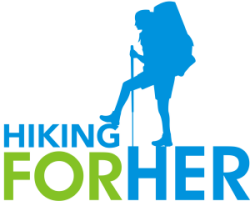 Hiking For Her has put together a foot care package (worth $35 and shipped to one lucky winner) so you can show your hard working hiking feet a little love. Enter your email address in this random drawing and have the package mailed directly to you if the luck of the draw is with you! United States hikers only, please. You'll find out how to send in your entry inside the April 2017 Trail Mix! We have a giveaway winner!! C.P. 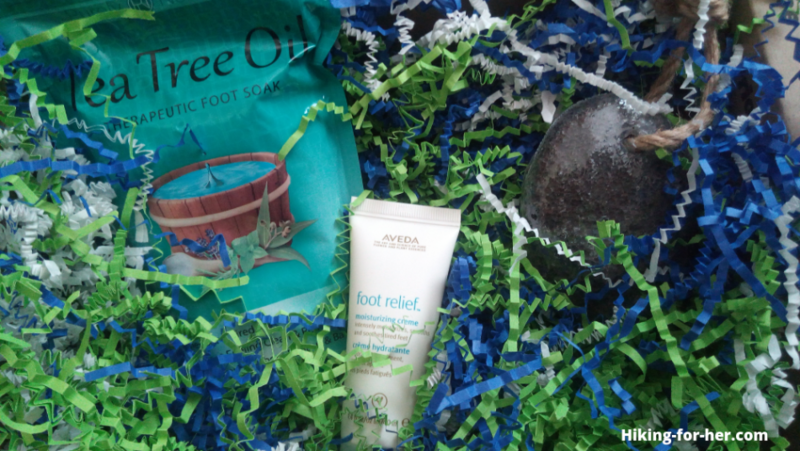 is the lucky hiker who will have some great foot care products to try out. I do thank you so much!!!!!!" Use this CONTACT link to ask anything you're wondering about. If you don't receive an email message immediately, letting you know your question reached Hiking For Her, something went wrong with your email address. Please try again, using a different address. Or double check: one of your fingers flying over the keys might have gone astray. The April 2017 Trail Mix Monthly Hiking Digest is waiting for you.